OROPOUCHE East MP Dr Roodal Moonilal today declared he will not be intimidated by the Prime Minister's initiating legal action against him. "I am not afraid," he declared. Moonilal made this statement of defiance as Dr Rowley took steps to sue Moonilal for allegations he made against the PM in connection with the fake oil scandal. Moonilal said the matter is in the hands of his lawyers, who have assured him he faces "no threat in the courthouse." Anand Ramlogan. SC. and Richard Clayton, QC, are Moonilal's attorneys. Moonilal said it was shocking that it took Rowley's lawyers three months to file legal documents against him. Promising to make the claim form public at his own cost, Moonilal described its contents as "flattering" to him and his performance as a government minister. He said the real intent of Rowley's lawsuit is to "injunct me from speaking." Saying Rowley sees him as a political threat to him and his government, Moonilal said this is the second time that steps are being taken through legal channels to muzzle him. He recalled an attempt was made last year with respect to CEPEP, and said that action was thrown out. Moonilal also recalled being named in civil litigation with respect to the Estate Management and Business Development Company (EMBD). In November 2017, he was one of four people and three companies accused by the EMBD of engaging in an elaborate scheme of bid-rigging, bribery and collusion which led to hundreds of millions of dollars being disbursed to five contractors before the 2015 general election. 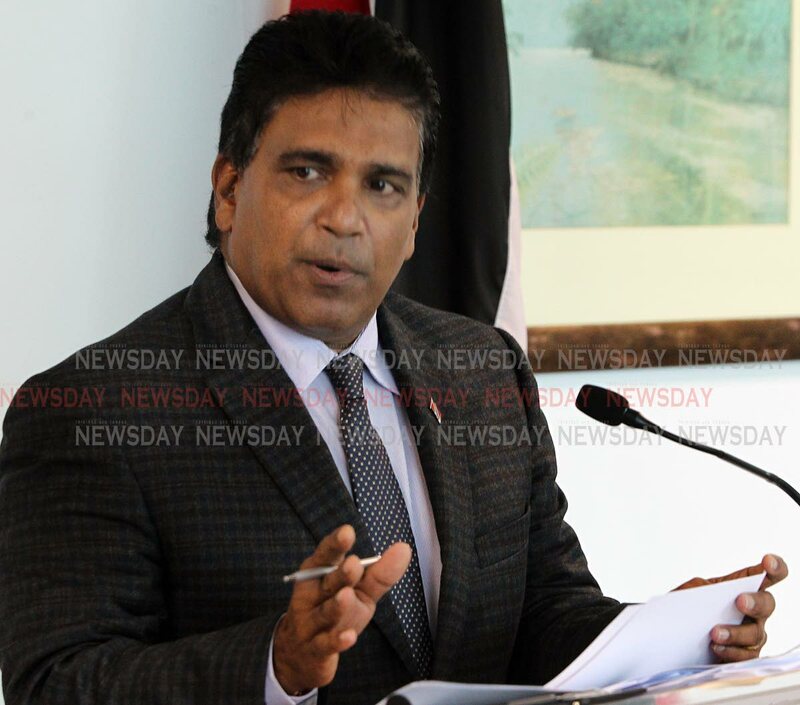 Last October, Moonilal was referred to the Privileges Committee of the House of Representatives for alleging that Rowley has a Florida bank account linked to the fake oil scandal. Rowley also sent correspondence to Commissioner of Police Gary Griffith and Financial Intelligence Unit director Susan Francois asking for an investigation into the allegations of criminal conduct made against him and other people by Moonilal. While Rowley portrays himself as "a corruption buster," Moonilal said it is a "diabolic contradiction" that Rowley is trying to silence him about speaking about corruption. Moonilal, who is also an attorney, said he will respect the jurisdiction of the court as one of its officers. But he declared, "I will not be muzzled." Hesaid the People's National Movement's attempts to malign him extend back to a years-old allegation that he owns a mall in the Netherlands, adding that no evidence has been produced to date to support this claim. Moonilal said if people prevent him from raising matters of corruption locally, he will "take this struggle internationally," disclosing that he has been invited to speak at a conference next month in Florida about governance issues in TT. He said he will have several documents to refer to at that conference and suspected that because of Rowley's lawsuit against him, he may have more documents to speak about. Later in an interview with the media, Moonilal expressed concern that Government may take measures to seize his passport and prevent him from travelling abroad to speak on the issue. He said Rowley has said he "injured and hurt him" and he felt sorry that a "big man in politics for 35 years" could make such a claim. Moonilal said the Opposition will be seeking an order to mandate the police to collect and collate all records relating to the fake oil scandal. "That fake oil matter will not go away easily." He expressed hope the case against him will be before the courts by mid-year if his lawyers do not seek to have it struck out for being vexatious and frivolous. Reply to "Moonilal: ‘I am not afraid’"